Brushing your teeth is a necessity. You don't want to walk around with yellow teeth and stinky breath, and it's common courtesy to those around you to care about your personal hygiene at least that much. 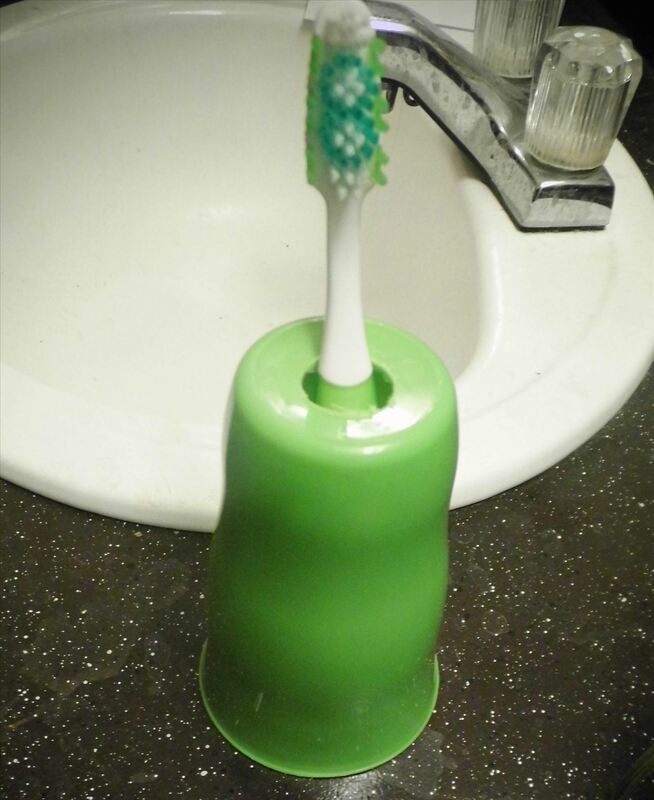 One unfortunate part about brushing your teeth is the toothbrush holder. Sure, they're good at first. Everything is clean and sanitary. However, before long, things start to go wrong. Go ahead, go and pull your toothbrush out of its holder and look in the bottom. What do you see? That's right—a bunch of nasty gunk. 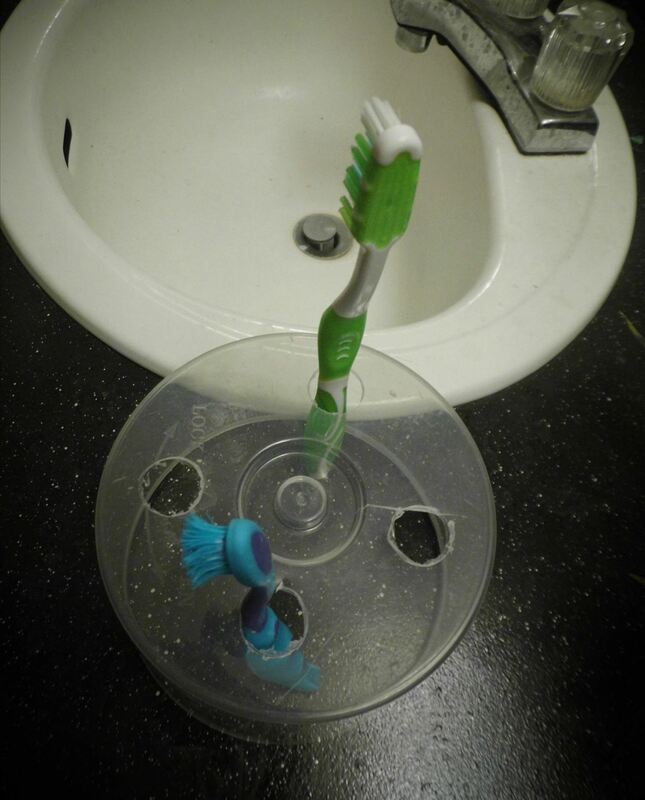 No matter how clean you keep your toothbrush, nasty stuff inevitably builds up on the bottom of your holder. That's why I'm showing you an easy and extremely inexpensive way to craft a toothbrush holder that will eliminate all of that nasty gunk. 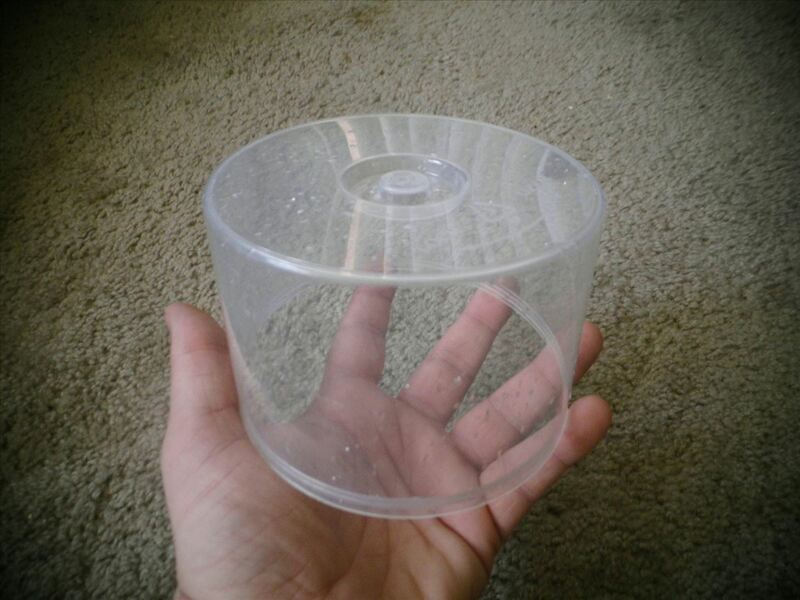 Grab the spindle of blank CDs off your computer desk and remove the round, clear plastic top. Wash it out thoroughly. 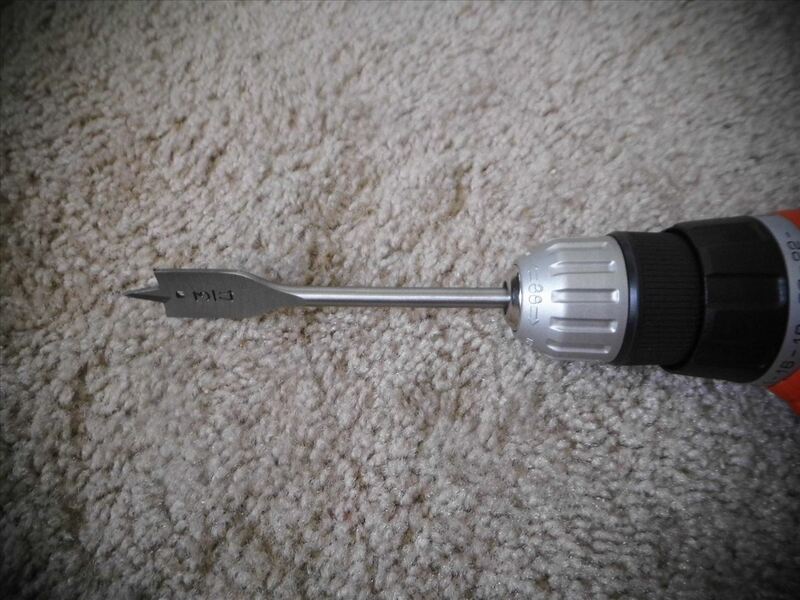 Attach your bit to your drill. I used a 3/4 inch size bit, but a 1/2 inch size would also be okay, depending on the size of your toothbrushes. 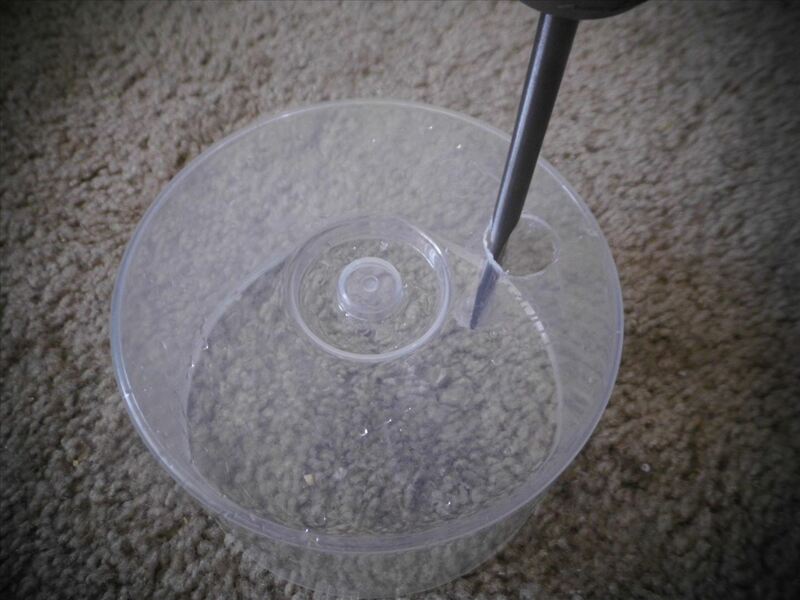 Drill a hole through the top of the lid. 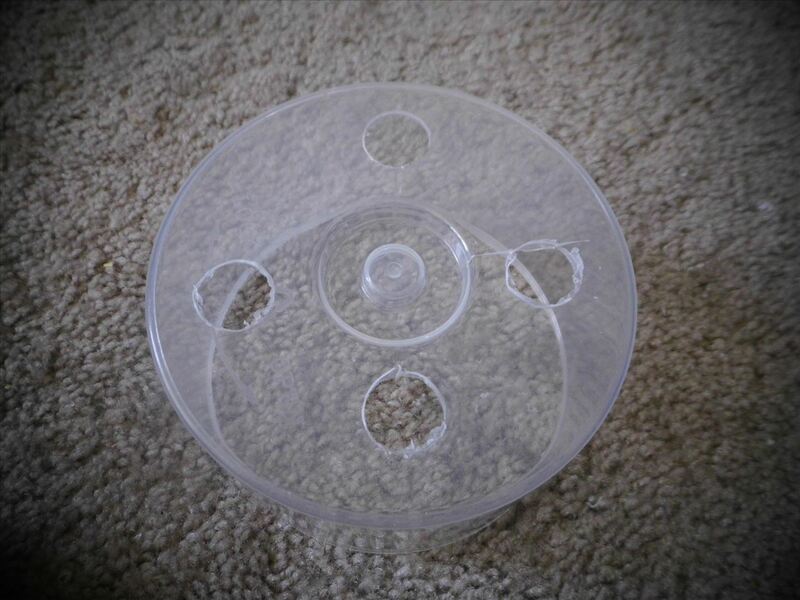 These lids are fairly thin, so you shouldn't have to adjust your torque. However, if yours is thicker than usual, feel free to adjust your torque accordingly. Clearly, I went too fast, and am lucky the crack was not any bigger. Be careful—control your speed. Repeat step three and drill three more holes in a plus pattern on the top of the lid. Add your toothbrushes and you're finished! The gunk has nowhere to build up now except for on the counter. As long as you lift your holder and wipe the counter beneath it every time you clean your bathroom, you'll be fine. What's that you say? You're a bachelor with a small sink? You don't have room for such a big toothbrush holder? You only have one toothbrush? 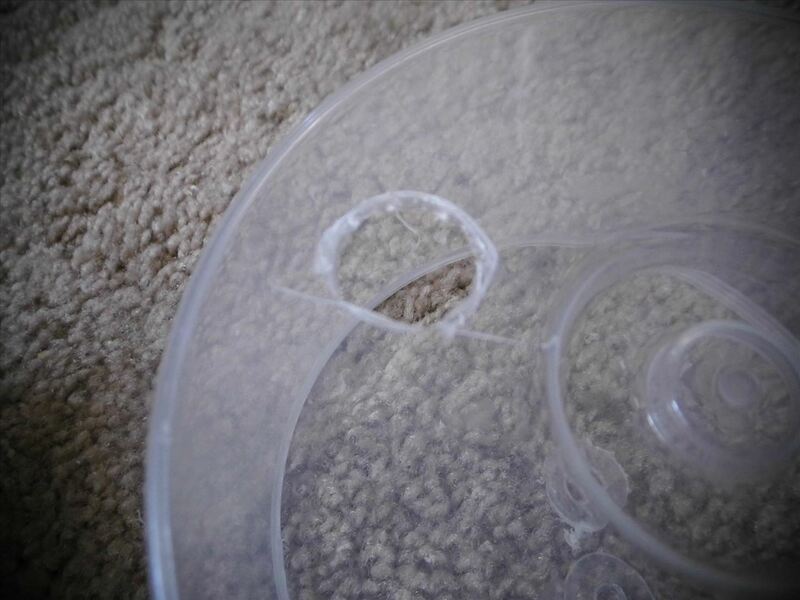 Well, if you have a plastic tumbler cup (which come in packs of six for a dollar at my local store), then simply flip it over like before and drill a hole through the bottom. This will obviously have a thicker bottom, so be sure to increase the torque. There you have it! What would you use to make a toothbrush holder? Be sure to comment below and let me know! that a cute idea it can be fun to make! !